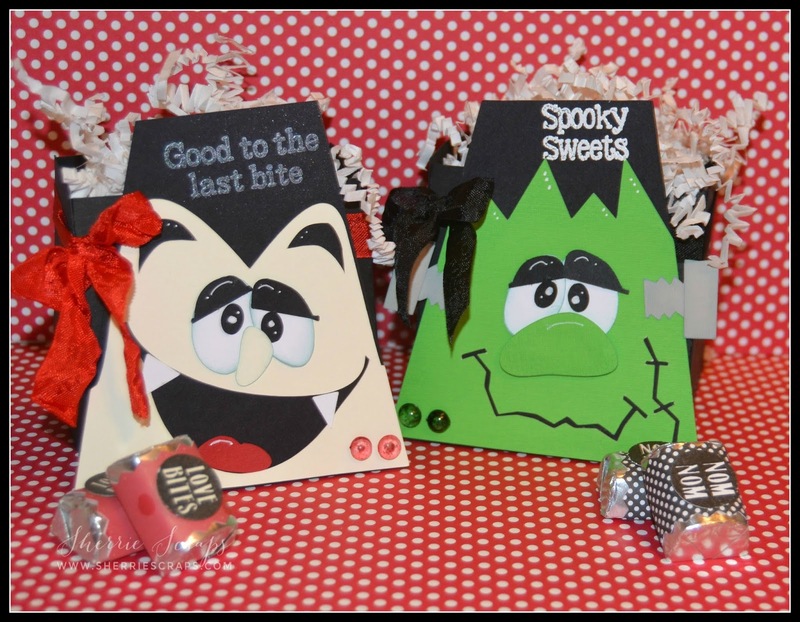 Oh my gosh, these are the most fun treat boxes ever!! I love Frankie and Dracula!! How adorable!! I see why Arya got such a kick out of them - so darn cute!! Love, love these my friend!! Thank you so much for playing along at DL.ART!! What a super cute and fun treats!! Have a great day. Cute, cute, cute. Love these boxes. They are too cute to spook. I bet she did get a kick out of them. The faces are too funny. These are both such cute treat boxes! These are just too cute, I am sure the persons receiving these will be pleased! These are so super ADORABLE!!!! LOVE them Sherrie!!! OMYGOSH!! These are sooooooooooo fun! I loveeeeeeeeee them!!!!!!!!!!!!!!!!!! How cute these are! You should enter our 'for the kids' challenge at Great Impressions! Super cute projects! 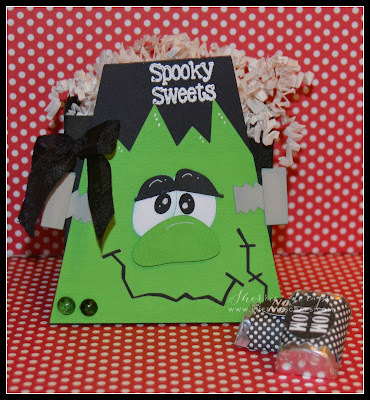 Love the fun treat boxes you created! It's so cute that your little granddaughter loves them too! These are SO FUN, Sherrie!! I haven't made Dracula yet, but can't wait to work on him! Love them both and your personal touches are perfect!!! Ha! Those are so cute and fun! This is super duper adorable Sherrie! 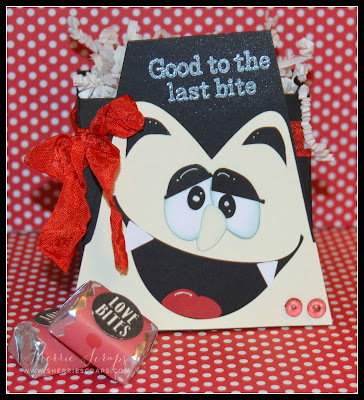 Love your treat 3d projects always! Super cute sweet treat Halloween projects Sherrie! You really do make amazing 3D projects! Obviously made with lots of love! Sherrie ~ Okay these files here and all the ones in the past posts are over the top AMAZING!! I LOVE that you put your own spin on them too ~ gives them so much character!! You are a master at this! Those are soooo CUTE!! Super FUN treat boxes! These are super cute!!! What a fun project! Thanks for joining 3 Girl JAM! Spooktacularly awesome and cute and wondeful and I LOVE these my friend !! !